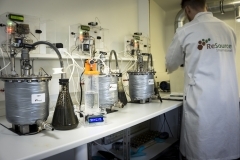 Biogas potential tests are the most relevant tests today to predict biogas production from biomass. 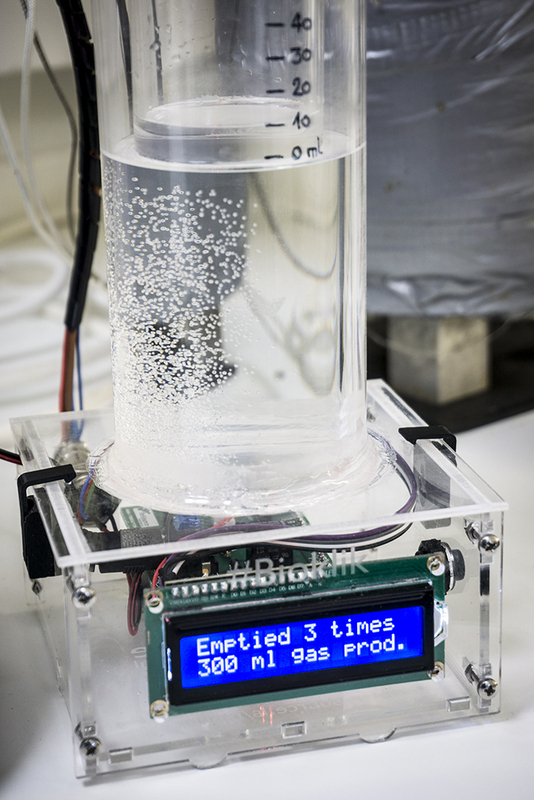 They are often done using expensive equipment such as pressure sensors or small-scale gas flow meter. In order to reduce costs and be able to have a higher number of replicates, it is necessary to provide research facilities with lower cost solutions without compromising precision of the measurements. 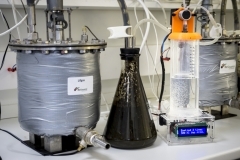 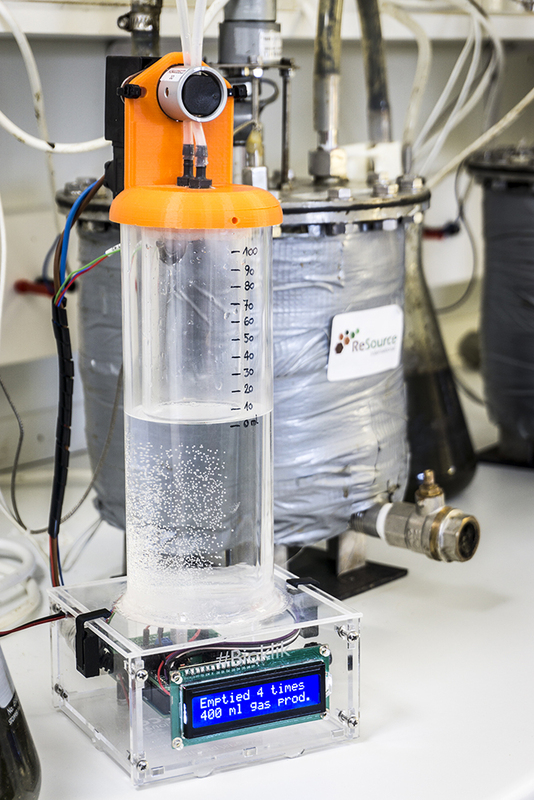 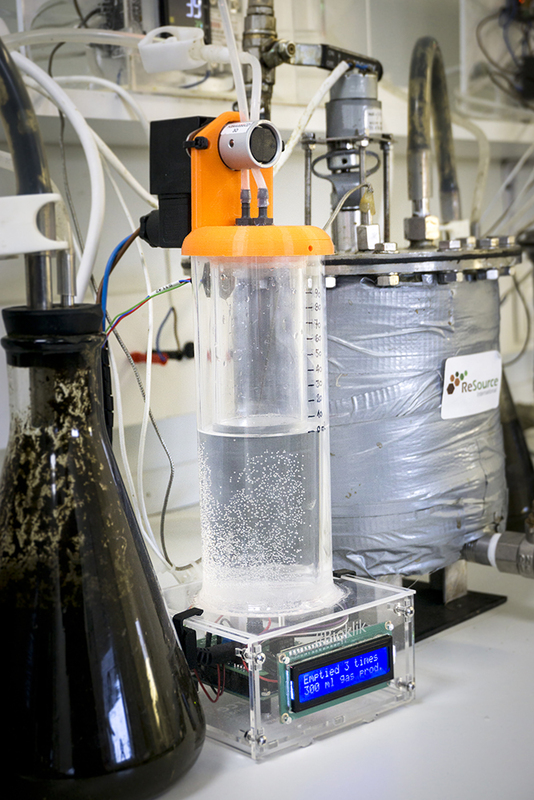 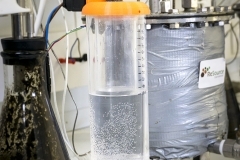 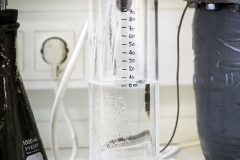 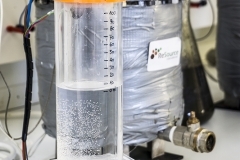 The environmental engineering and services company, ReSource International based in Reykjavik, Iceland has developed an open-source system based on classical water displacement measurement. 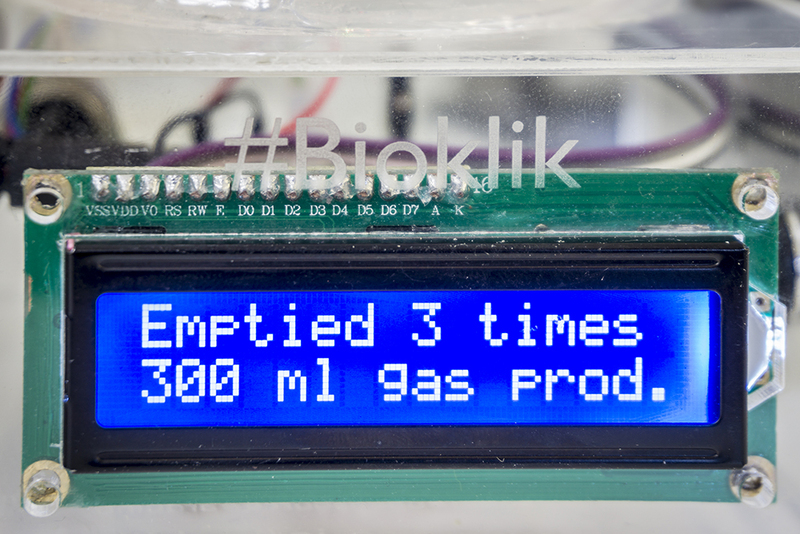 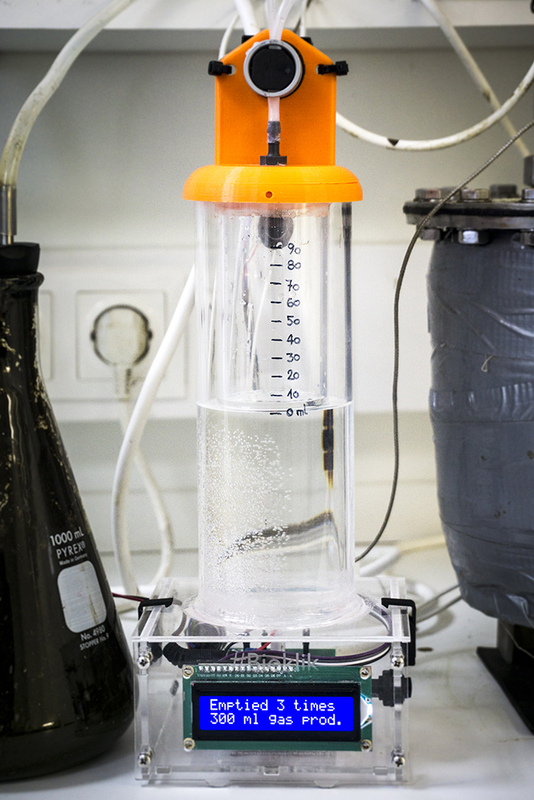 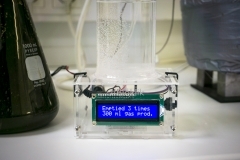 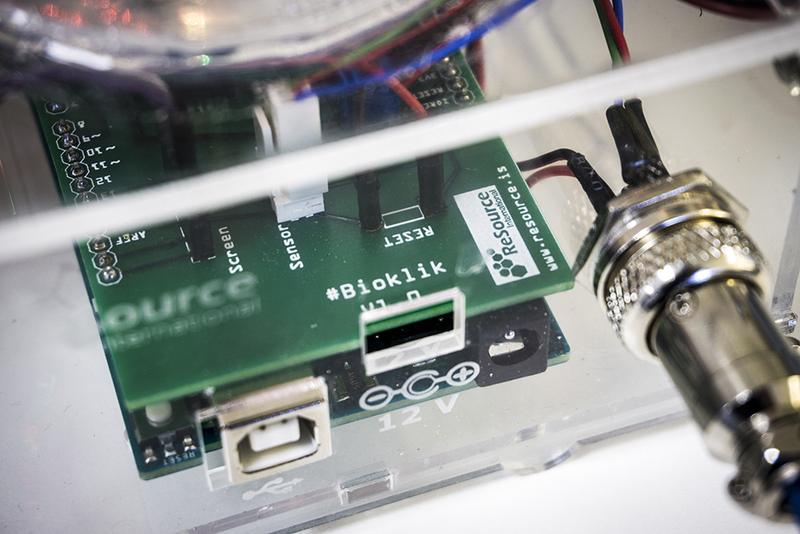 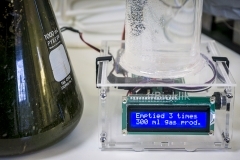 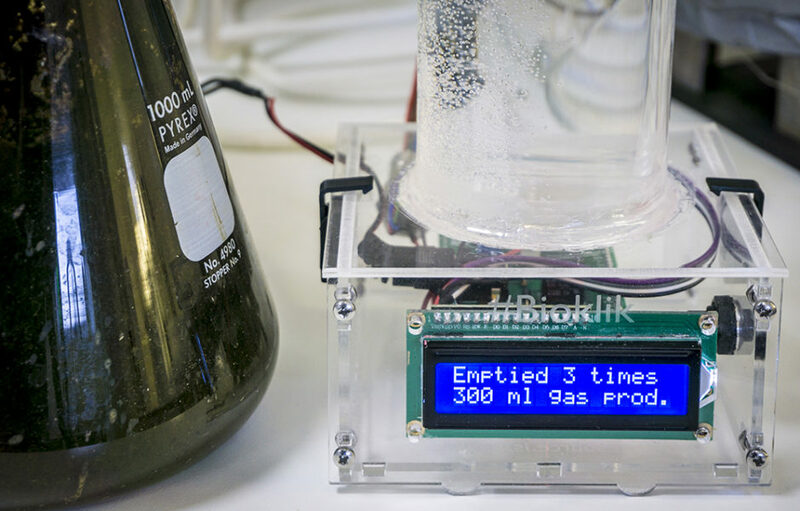 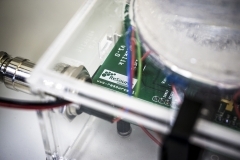 The system called #Bioklik is based on the open-source Arduino board and operates automatically to measure a low flow of gas from fermentation processes. 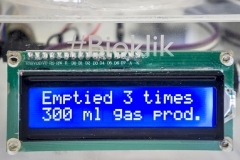 The #Bioklik system can also be used to monitor any other kind of fermentation process operated at laboratory scale with a continuous flow of gas such as brewing for example. The design and files from the prototype will be available soon on our website in the spirit of the open-source movement. 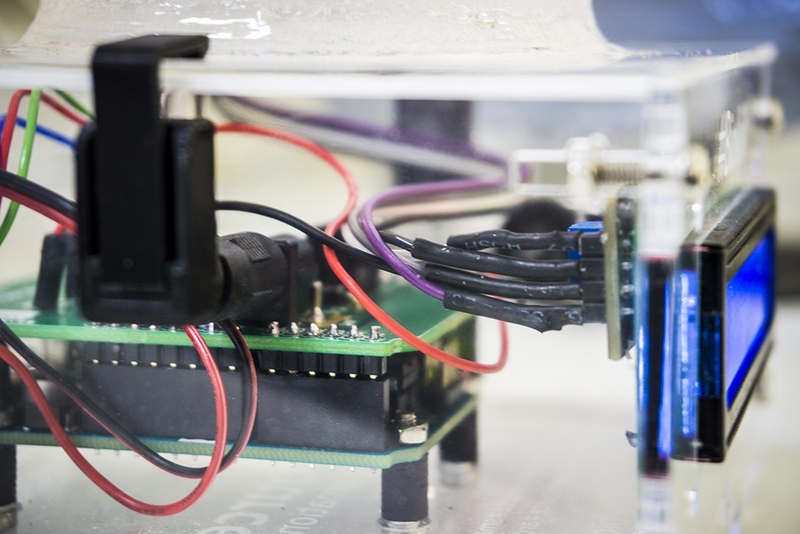 We would like to gather interest from the community to help us determine the potential of this project and to determine who would be interested in ordering at least the Arduino shield or the full unit.